2.4 Who are at risk? 6.1 What Are the Symptoms of Low Thyroid? 6.2 What is Hashimoto’s Disease? 7.1 What are the symptoms of autoimmune thyroid? 7.2 Who is More Prone to Autoimmune Thyroid? Hypothyroidism symptoms can vary from person to person. When you have hypothyroidism, it means that you have less than the required thyroid hormones. The functions of the thyroid hormones are affected in a negative manner and below are some of the symptoms to be aware of: Researchers have shown that this disorder affects about three people for every hundred individuals. When you have the disorder, there are a lot of things that will be seen in your body. Those are the symptoms and they will guide you on the measures to undertake so as to get rid of the disorder. Such signs are very important especially at early stages as it gives you a chance to eliminate it at early stages. If there is one condition that can be hard to diagnose, then it goes almost without saying that it is hyperthyroidism. This is mainly because its symptoms can be easily confused with the symptoms of so many other conditions. You might easily brush off the symptoms as fever, only to realize later that your condition is getting worse. A persistent feeling of being tired may not be due to your heavy work schedule or your lack of exercise. Instead, it may be a sign that your thyroid gland is not producing enough of the hormones that charge your metabolism and control how many and how often energy supplies are broken down and consumed by your cells. You cannot exercise or diet your way out of this condition, though those methods can reduce the severity of the symptoms. Without thyroid function, you simply will not have energy. The depression is caused physically by the condition and not simply due to mental disturbance from the diagnosis. People generally experience severe depression long before they receive a diagnosis. This symptom usually recedes in severity or disappear altogether once synthetic hormones are supplied and are supplemented by lifestyle changes. Since the thyroid hormones control metabolism, their absence leads to inevitable weight gain as less energy is used and incoming supplies of carbohydrates and fats are increasingly stored rather than used to support body functions. Along with the weight gain can come a whole host of other symptoms that are produced secondarily by the obesity. The slowing of the metabolism inevitably leads to a slowing of all body functions. This is seen in the sluggish peristalsis of people with symptoms of hypothyroidism. A danger in avoiding a diagnosis for hypothyroidism is possible misuse of laxatives to solve the problem. Instead, proper administration of synthetic hormones should return bowel function to normal. The body perceives a lack of energy available, even though the increasingly heavy subject suffering from hypothyroidism has plenty of energy stored. Like all other bodily functions, the movement of eggs into the uterus suffers as does their nourishment. Like most of the other organs in the body, the heart will also slow down. This is a distressing syndrome but it should also be an easy one to detect for non-medical professionals. When the heart rate goes below 60 beats per minute, this is technically bradycardia. This only applies to heart rates measured during the day. It is normal for relaxed or sleeping persons to see heart rates fall below 60 at times. The inability of organs to process during periods of low thyroid hormone production also leads to an increase in the levels of cholesterol in the blood. Cholesterol is meant to travel back and forth through the body and be consumed in various activities or in the repair and building of various tissues. When these processes slow down, cholesterol backs up in the blood stream. Circulation helps to maintaining the right body temperature. However, circulation falters when there is not enough thyroid hormone present to stimulate this process. As a result, people suffering from hypothyroidism symptoms will frequently feel cold even when others around them feel quite warm. Their bodies are not using enough energy to circulate blood to the surface of the skin and to their extremities. Joint and muscle pain may be a result of the inevitable ebb in muscle repair that would happen after the metabolism slow down. Subjects suffering from other symptoms of hypothyroidism may believe at first that these pains are due to exercise or sleeping the wrong way. The nails grow outward from the base of the lunula at the place where the fingernail meets the skin. With the metabolism skewed as badly as it is when hypothyroidism is present, the creation of these nails suffers. They are made from keratin, a protein that must be manufactured by the body. Hair loss is related to the problems that people with hypothyroidism have with their nails. Hair is created using the same proteins in different arrangements. Nevertheless, when there are not enough of these proteins, hair cannot be created. Just as circulation to the surface of the skin suffers, so does the normal action of the skin to protect itself with oils produced by glands and ejected onto the surface of the skin. These symptoms are those that occur more during the earlier stages of the disease, although they can also happen during later stages as well. In the next part of this feature on the symptoms of hypothyroidism, we will take a deeper look into the symptoms that occur during the later stages as well as a few treatment options. In the second part of our overview of the many symptoms of hypothyroidism, we are going to look at the symptoms that occur at a later stage during. Without iodine, the thyroid cannot produce the hormones that it normally makes. When there is a severe deficiency of this substance the thyroid will not only malfunction, it will swell in size. This swelling is not simply internal. It is visible from the outside as an inflammation of the anterior portion of the base of the neck. In history, many people were without access to iodine and suffered from this swelling. While hyperthyroid symptoms can be the same in young people, they significantly differ when it comes to older people. This primarily because a good number of medications prescribed for blood pressure and such like conditions often mask hyperthyroid symptoms. Graves Disease – an autoimmune disorder which affects antibodies produced by your immune system. The disorder then stimulates the immune system and causes an overactive thyroid. There is no known cure for hyperthyroidism. The only thing you can do once diagnosed with the condition is to start your medication on time. You will have to take physical exams and other screening procedures seriously, lest your condition worsens. Your doctor may at first request you to control the condition using medication and some home remedies such as observing the right diet. Keep in mind that the condition differs from one individual to another. This means that it may take time for your doctor to identify the right combination of mediations and home remedies that can improve your condition. While undergoing treatment, it is important to stay away from habits such as smoking since they can only worsen your situation. If possible, quit smoking completely. Observe the right diet and work out often. Avoid stress and see your doctor from time to time for assessment of your condition. The right diet for hyperthyroidism will have to incorporate foods that can strengthen your immune system and bones. This means that your food has to be rich in calcium for your bones and vitamins for your immune system. Consume lots of berries for your immune system. Blackberries, raspberries and blueberries will do you good in your efforts to put the condition on its knees. Milk products such as yoghurt and cheese will help you to strengthen your bones. If you are lactose intolerant, try soy milk and other alternatives. Consume lots of vitamin D from eggs and salmon or bask in the sun but be careful not to bask too much in the sun so as to keep skin cancer and sun burns at bay. Numerous physiological changes occur in the body when a woman is pregnant. Hormonal changes are among the most common changes that occur in women who are pregnant, which is the reason it is no unusual to see some women exhibiting mild to moderate cases of hypothyroidism. This could be due to an increase in the estrogens hormone which increases in levels when a woman is expecting. Although, hypothyroidism and pregnancy may be a less-than-ideal condition for most expectant mothers, there are many ways to bring this hormone disorder under control and to make pregnancy safe for both the mother and child. Hypothyroidism is a condition characterized by very low levels of the hormone in the blood. The cause could be directly or indirectly related to the thyroid gland. The disorder affects the body’s growth and development and has a severe effect on cellular processes. Thyroid hormones are produced by the thyroid gland, which is that butterfly shaped gland on the lower part of the neck. This gland is wrapped around the trachea. The hormones are created using iodine from the diet such as green vegetables, bread, salt, and seafood. The function of the gland may also be affected by the fact of the pregnancy itself, since pregnancy puts increased pressure on the thyroid. The most common form of treatment for hypothyroidism is to give thyroid hormone replacements to replace the missing hormone. Doctors will provide the right amounts of hormone to make sure that the right levels are maintained in the blood. Expectant women who are diagnosed with pregnancy hypothyroidism are regularly monitored to ensure that blood levels of thyroid hormones are normal. Early detection is of primary importance in hypothyroidism since even before birth, the baby is entirely dependent on the mother for its supply of the hormone until its body can start producing the hormone on its own. The lack of the hormone can affect the growth and development of the child, which becomes very clear when the baby is born. Babies born to mothers suffering from hypothyroidism exhibit slower motor development compared to other babies their age, and this difference can persist even when the baby is treated. It is also not uncommon to see signs of intellectual impairment in these babies compared to those born to normal mothers. Numerous studies have confirmed that iodine deficiency has a direct link to mental retardation in babies all over the world. Underactive thyroid disorders are also shown to increase a woman’s risk for miscarriage and pre-eclampsia, which can be life threatening to the mother. Hypothyroidism also exposes the mother to many risks. These include the increased risk for gestational hypertension and intrauterine foetal death, which could result to maternal infection. They are also more prone to premature delivery, and for developing other thyroid abnormalities after they give birth. It is also important to note that expectant mothers suffering from hypothyroidism require up to 50% more of their hormone dose compared to women who do not have the disorder. Women at risk for hypothyroidism are those who have a family history of hypothyroidism. It is, therefore, important for women who have a history of the disease to have them screened. This should be done before getting pregnant to make the necessary preparations that can lower the risk of complications. Women who are pregnant and are later diagnosed with hypothyroidism should inform their health care providers so that treatment can be done. Women who have this condition are given strict monitoring so make sure that thyroid levels remain normal all throughout the pregnancy. It is also recommended that women planning to get pregnant be screened for thyroid disorders so that treatment can be started before she becomes pregnant. They should also notify the physician about hormone replacement therapy before beginning any other treatment for any other kind of disease, since some medications may react with thyroid hormones and can affect the dosage. It is also very important to notify the doctor of new symptoms that may arise. The medications used for hypothyroidism are often safe for pregnant women and their children. However, there are some medications such as radioactive iodine which should not be given to pregnant women. It is very important to follow doctors’ orders correctly and to schedule appointments so that medications can be adjusted as the pregnancy goes on. Expectant mothers are often advised to take vitamin supplements containing iodine. There are vitamins that have iodine as the main component, and these are recommended for pregnant women over regular supplements, which may contain a mere 30% of one’s total daily iodine requirement. Also, curing hypothyroidism naturally is a very powerful and popular strategy today. The link between hypothyroidism and pregnancy is clear, as well as the possible effects that the disorder has on the mother and child. Due to the severe growth, motor and intellectual effects that hypothyroidism has over the child, it is very important to ensure that women are screened for the disorder even before they get pregnant. Pregnant women who are seeing signs of the disorder on themselves should seek medical attention immediately, to receive medical supervision and monitoring for the duration of the pregnancy. Although thyroid cancer is rare, compared to other cancers in the USA, there are about 20,000 new patients diagnosed annually. Being the most common of the endocrine related cancers, the prognosis for the patients diagnosed with it is usually excellent. Unfortunately, most thyroid cancers do not cause any symptoms. The major symptom is a lump or nodule in the throat. Patients may come to their physician with complaints of neck, jaw or ear pain and a nodule may be discovered then. Patients may have difficulty swallowing, a “tickle in the throat” or shortness of breath if the cancer is large enough to be pressing on the windpipe. Hoarseness of the voice can occur if the disease starts irritating the nerve in the voice box. There are four types of thyroid cancer, Papillary, Follicular, Medullary and Anaplastic. Each of these types has specific characteristics. Papillary is the most common type making up 70 to 80% of thyroid cancers. Occurring at any age it begins in the papillary cells. This type tends to grow slowly and if it spreads it will spread to the lymph nodes in the neck. When a patient is diagnosed with papillary cancer in the early stages, they can be cured. The second type is follicular cancer. This type occurs in the follicular cells and if it spreads will grow into the lymph nodes. This cancer makes up 10 to 15% of thyroid cancers and is diagnosed in older patients. Because it grows slowly, if it is detected early it can be cured. The third type is medullary cancer. This one begins in the C cells. Making up 5 to 10% of thyroid cancers this type is usually associated with other endocrine problems. Unlike the first two this type can be diagnosed by genetic testing of the blood cells. It is easier to control if found early and is treated before it spreads. The fourth type is anaplastic cancer. This type makes up 2 to 5% of thyroid cancers making it the rarest. It begins in the follicular cells and it grows and spreads fast. Anaplastic cancer is usually found in patients that are over 45 years of age. Unlike the previous three types this type is very hard to control. There are two treatments for patients diagnosed with thyroid cancer. Surgery is the primary form of treatment for all types of this disease. If the cancer is small, the removal of the entire thyroid gland can be the cure. The second treatment is radioactive iodine therapy (RAI treatment). Because of this type of treatment the prognosis is of papillary and follicular cancers is excellent. After surgery the radioactive iodine when administered to patients seeks and destroys remaining cancerous cells without any or little damage to other tissues. Once treated and even diagnosed as “cured” patients will be asked to return for examinations of the neck. Blood work will be done to measure the T4 and TSH, as well as the thymoglobulin levels. Physicians may also repeat whole-body iodine scans to determine if there are any thyroid cancer cells remaining. The prognosis of thyroid cancer is very good especially in younger patients. If the disease is confined to the thyroid gland and surgery is done the outcome is excellent. Even though the prognosis of patients diagnosed over 40 years of age is not as good, with treatment they feel well despite their condition and are able to live a long time. Hypothyroidism is the condition related to the insufficient production of thyroid hormones by thyroid gland. Literally hypo means less or under and thyroidism is the condition related to thyroid gland. Making it together, hypothyroidism is condition where thyroid gland works less or it produces the thyroid hormones in an inadequate amount. There are many causes involved in the hypothyroidism. Primary hypothyroidism is due to inflammation of the thyroid gland and insufficient production of the thyroid hormones whereas; the secondary hypothyroidism could be due to any surgical removal of the gland or any other underlying disease. In some advanced stage, you may get the swelling over the neck and more severe, a person who is suffering from hypothyroidism may go under coma which needs immediate diagnosing and treatment. The hormonal levels in this patient are highly disturbed and are to be corrected as early as possible. The symptoms of hypothyroidism get developed slowly. However, all the symptoms are difficult to notice at a time and hence it is always advisable to depend on the blood test. There are certain blood test, through which diagnose is carried out for hypothyroidism. These blood tests are performed in laboratories. The thyroid gland uses iodine which is mostly available from the diet in foods like bread, salt and seafood to produce thyroid hormones. There are two most important thyroid hormones; triiodothyronine called as T3 and thyroxin called as T4 which estimates 0.1% and 99.9% present in our body respectively. However, the most biological activity is with T3 hormone. After getting released, large amount of T4 is converted into T3 which is an active hormone affecting the metabolism of cells. In the case of hypothyroidism, the thyroid hormones are significantly found low in the blood. The TSH (Thyroid Stimulating Hormone) is to be tested. This TSH is made up by specialized cells in the pituitary called thyrotrophs. Thyrotrophs are highly sensitive to the amount of the thyroid hormones that is circulating in the blood. If the thyroid hormones drop, the pituitary gland makes more TSH to stimulate the thyroid gland to work more hard and to make thyroid hormone more. So, an increased level of TSH strongly suggests evidence of hypothyroidism. If the level of TSH is 6 or more, it is generally labelled as hypothyroidism as compare to 0.5-2.5 which is normal level for an individual. T3 and T4 levels are also altered from its normal value which is normal adult range 4-12 ug/dl for T4 and T3 uptake is 27-47%. Sometimes Free T4 index (T7) is also noted which 4-12 is as normal adult range. It is believed that these hormonal values help to diagnose the hypothyroidism. But there is one more sophisticated test that can reveal even mild low thyroid. This is called as TRH – Thyrotropin Releasing Hormone test. The entire procedure for this test requires an injection, which is followed by one or more blood drawing at 15, 30 and 45 minutes intervals. The test is very accurate but is comparatively costly and inconvenient for both the lab and patient. Recommend: Thyromine thyroid supplement: has got a top formula for improving energy, motivation, metabolism, and helping weight loss. Thousands of individuals have benefited from the effective nutrient combination in Thyromine. It is designed to support the normal function of thyroid hormone at the cellular level and helps convert the inactive form of thyroid hormone (T4) into the active form (T3). Hypothyroidism, a condition where the thyroid produces low levels of thyroid hormones, affects more women than men. Women over 60 are particularly at risk of developing the disease, and the American Thyroid Association recommends that women be tested for thyroid disorders every five years starting when they are 35. Untreated hypothyroidism can cause serious health complications, not the least of which is infertility in women. This may be because one of the primary symptoms of an underactive thyroid gland in women is abnormal or irregular menstrual cycles. Among other things, the thyroid is responsible for regulating the body’s sensitivity to other hormones. While it remains unknown exactly how hypothyroidism affects the menstrual cycle, it may be that the lack of thyroid hormones negatively affects the regulation of female hormones like estrogens that are critical to normal ovulation and menstruation. If you or someone you know experiences these menstrual cycle changes that cannot be explained by other factors, have a doctor check for unusual thyroid hormone levels. Hypothyroidism can also cause increased excretion of phosphorus and calcium from the body, which can lead to the development of osteoporosis. Decreased bone density and/or an increase in bone fractures incurred in situations that normally wouldn’t cause them may be related to a thyroid problem. Treating hypothyroidism is essential to maintaining your health. Synthetic thyroid hormones are typically prescribed to treat this condition. Unfortunately, you will be required to take the medication for the rest of your life and it can cause unpleasant side effects. 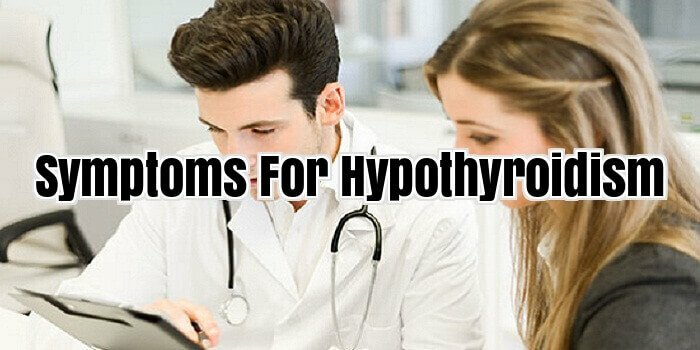 To treat your condition without incurring other health problems, you can try equally effective homeopathic hypothyroidism remedies. Everyone changes as they grow older, but many people think age is the only factor when health issues arise. Thousands of people aren’t aware that they suffer from a low thyroid and may think the reason they feel the way they do is because of their age. You could be suffering from low thyroid without being aware of it, and the cause of your low thyroid may be Hashimoto’s Disease. There are a lot of different symptoms that an individual may experience if they have low thyroid. Each person is different in the symptoms they will experience, and some may show more symptoms than others. It’s also important to note that people of all ages can suffer from this condition, not just adults. Even kids can have low thyroid, which is why knowing the signs and symptoms are very important. As you can see, there are a lot of different low thyroid symptoms that an individual may suffer from. Unfortunately these can become severe, even if they start off mild in the beginning. When you suffer from low thyroid signs or symptoms, a primary care physician may only order tests that measure the thyroid stimulating hormone (TSH). If the TSH comes back elevated, the typical treatment is hormone replacement. However, the thyroid is rarely the main cause of high TSH; it is often due to an autoimmune disease called Hashimoto’s Disease or an endocrine imbalance somewhere else in the body. If your low thyroid symptoms do not improve or get worse while on hormone replacement, you may have Hashimoto’s Disease. The number one cause of low thyroid in America is Hashimoto’s Disease; an autoimmune condition that attacks the thyroid. If not treated properly, it can lead to other serious autoimmune diseases and health complications. Anyone who experiences symptoms of low thyroid should not sit back and just let them happen. As you’ve also read, symptoms of low thyroid can also mean a more serious issue of Hashimoto’s Disease. If you are dealing with these symptoms, it’s important to find help. One option to seriously consider is to work with a chiropractic physician trained in the field of functional medicine. This is very different training and a very different approach than traditional chiropractic care. Working with a chiropractic physician who knows functional medicine can be one of the best options for getting to the root cause of your low thyroid symptoms. Thyroid disorders can cause many health problems on all levels, starting from the nervous system and ending up with the reproductive system. Autoimmune thyroid disease has become extremely popular among middle-aged women, but may occur especially after childbirth. One in 8 women can get sick of hypothyroidism or hyperthyroidism. What are the symptoms of autoimmune thyroid? Autoimmune thyroid (Hashimoto) is largely caused by a huge number of harmful antibodies. Autoimmune thyroid symptoms are often confused with signs of other diseases, and most women ignore them, allowing this condition to pass undiagnosed. The biggest danger is that autoimmune thyroid is moving very slowly, silently, towards hypothyroidism. Thyroid disorders can cause miscarriage or infertility in women. Furthermore, the most severe complications of hypothyroidism are myocardial infarction and stroke. Who is More Prone to Autoimmune Thyroid? Autoimmune thyroid is often caused by psychological and emotional factors. Smoking, excessive alcohol, fatigue and stress emphasize autoimmune thyroid symptoms. Women aged between 40 and 60 years, and those with a family history may have symptoms of thyroid autoimmune. Rheumatoid arthritis, type 1 diabetes, Addison’s disease and other autoimmune diseases inherited in the family can cause autoimmune thyroid. Infections and excess iodine are other causes of this condition. Autoimmune thyroid or Hashimoto thyroid is not dangerous, but untreated properly can worsen the quality of life. Autoimmune thyroid treatment should be followed for life. There are natural remedies that can ease the severity of the symptoms experienced. • Evening Primrose Oil – this remedy fights the complications that may develop in patients with diabetes type I. Evening Primrose oil reduces stress, strengthens the immune system, reduces the aging process, promotes positive thinking and stimulates the thyroid gland. • Copper and Iodine – these are minerals the help the liver recover and eliminate the poisons in the liver, kidneys, intestines and skin. Be cautious though! Excessive amounts of iodine can cause colds, dizziness or headache. • Crushed Cabbage or Clay Poultices – this cure is to be followed a few months. • Recommended Foods – tarragon (containing iodine), oats and corn (stimulates the thyroid), garlic, onions, spinach, cabbage, carrots, tomatoes, pears, grapes. • Food supplements – organic selenium and zinc, to help maintain a good balance between the hormonal and immune system, and to block the harmful antibodies.